Ed has a strong passion for trail running and can often be found running the trails in the hills and mountains west of Fort Collins. As someone who loves introducing others to the world of trail running, he is active in organizing local trail runs. He is a self-professed technology geek, and loves to share his knowledge of training and racing with runners new and old while out on the trail. Ed’s path to trail running started with track running, shorter-distance road racing and duathlons. He had a good amount of success in those types of races, at one point achieving overall or age-division wins in seven consecutive races around Colorado. In recent years, Ed has shifted his focus to trail running and racing. He had some initial success in shorter trail races, winning the master’s division at the inaugural running of the Black Squirrel Trail Half Marathon in 2013. However, he was hit with a potentially career-ending injury in 2015 when he went down on his bike and suffered a complete fracture of his femur. Not one to back away from a challenge, he refused to accept the possibility that he may never run again or get back to his old form. Instead, the setback motivated him more, and he made it his goal to get faster than ever, best his pre-surgery PRs, and move onto longer distances. 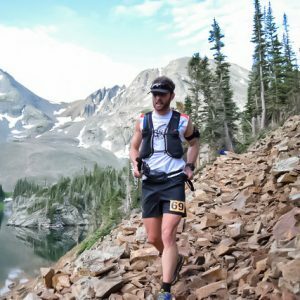 In 2017, Ed transitioned to ultrarunning. Since that time, completed five ultra events, has twice completed our Gnar Slam series, has picked up six divisional wins in the Master’s or Grandmaster’s divisions, and has set three divisional course records. This, despite having three screws holding his femur together. For the coming year, he has his sights set on completing his first 100 miler (the Bighorn 100) and winning his division in that race.